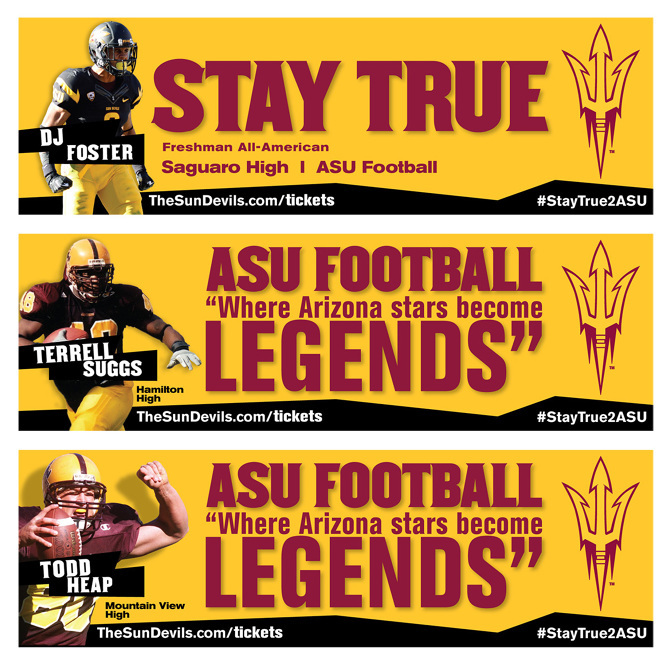 When ASU Head Coach, Todd Graham, needed to retain top high school recruits throughout Arizona, we ran a large billboard campaign that featured former local high school stars that played for ASU and then went on to the NFL. Each billboard was placed near a relevant high school. "STAY TRUE" along with the hashtag "#StayTrue2ASU"